Not having a plan on where to go makes leaving in the morning tough. Regardless, I hitched up and headed. I would decide on the way. 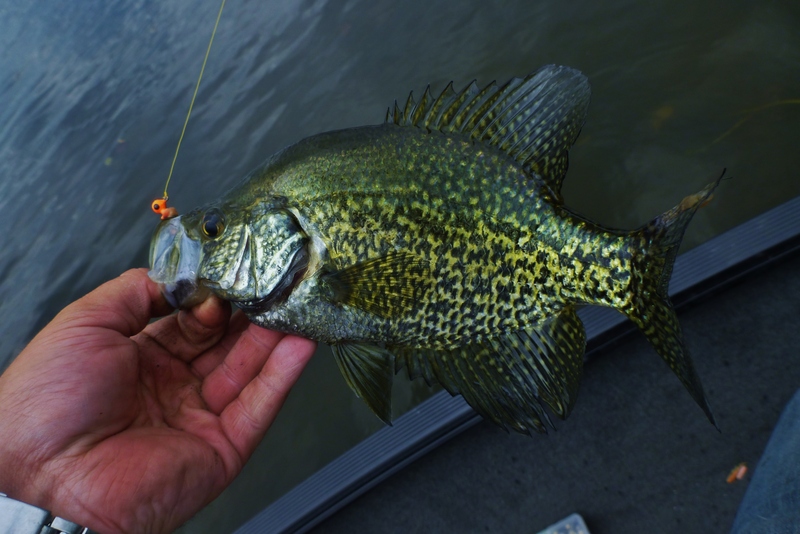 Coming up with a game plan, I decided that crappie were going to be the target for the day. Arriving at my destination, the water looked good and so did the weather forecast. I made my way to my starting waypoint and got to casting. 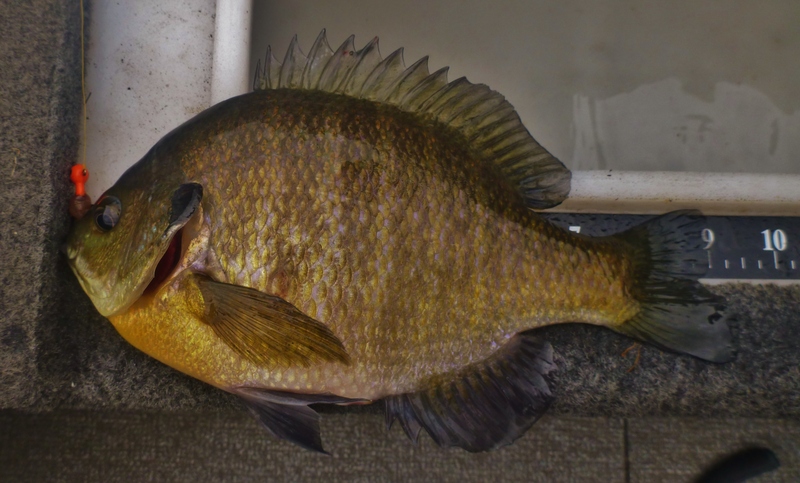 I went fishless for about an hour even though I was seeing bluegills on beds. I figured that the pumpkinseed here would be easier to catch so I switched up locations and found a secluded hump with about a foot of water covering it. The fishing started slow. With no breeze, the fish were spooky and I only caught them on long casts. As the wind started to pick up so did the fishing. I was able to make short casts and I caught them on just about every lily pad around. 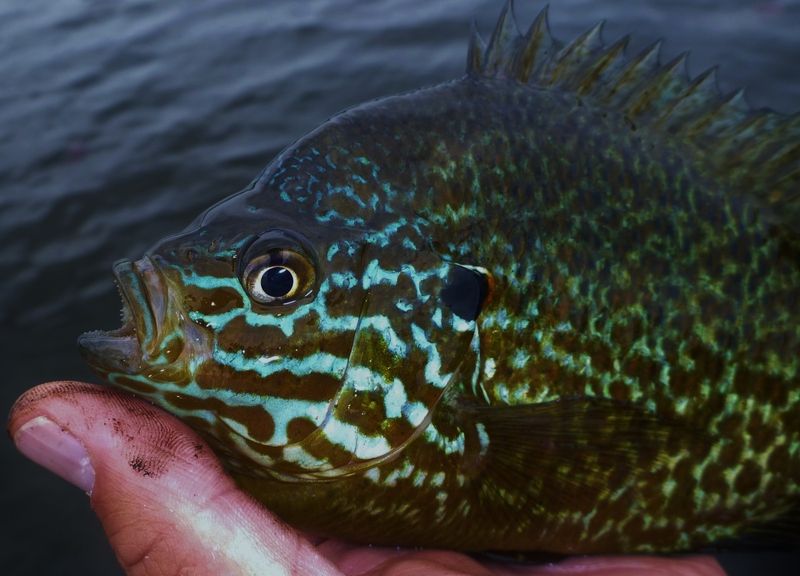 I felt like I had caught the majority of fish on the hump so I left in search of my original target; crappie. I resumed my pattern of working taller weeds in deeper water and any structure I could see. Still nothing. The fishing slowed down all together other than a few small pike and bass. I thought I was going to get skunked! I figured if nothing else, I would catch a few more pumpkinseed and call it a day so I headed back to the hump. A few seeds into the pass I noticed a large dark spot moving towards me. I casted at it and pulled the first crappie of the day. Before I knew it though, they were gone. Knowing that they were there made things more interesting though. I figured now that they cruising the weed edge feeding. While the wind made locating the weed edge from a distance difficult, having the milfoil almost at the surface helped a bit. On my first weedline cast, I caught another crappie. Then another. Then another. Soon I was making sense of what the fish were actually doing. While the outer weed edge was good, the pockets in the weeds were also very productive. After two hours of catching crappie, I needed to get going to make it home for work. I caught 38 keeper sized crappie that were all released and a pile of bluegill and pumpkinseed on this weed edge/pocket pattern. gorgeous fish. never seen one with blue stripes like that. There sure are some wild colors during the spawn!